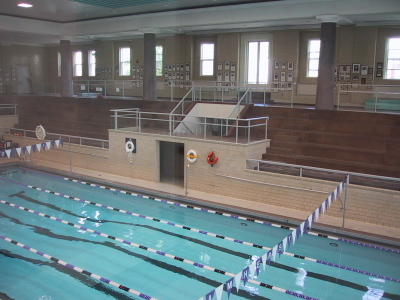 Pratt Pool was built in 1937 with money from a gift of Harold I. '00, Herbert L. '95, Charles M. '79, Frederick B. 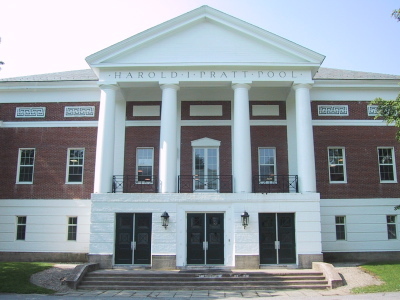 '87, and Richardson Pratt '15 (King, 324-25). (Photos taken 1 June 2002).